EXACTLY the info I'm looking for speedyquest. 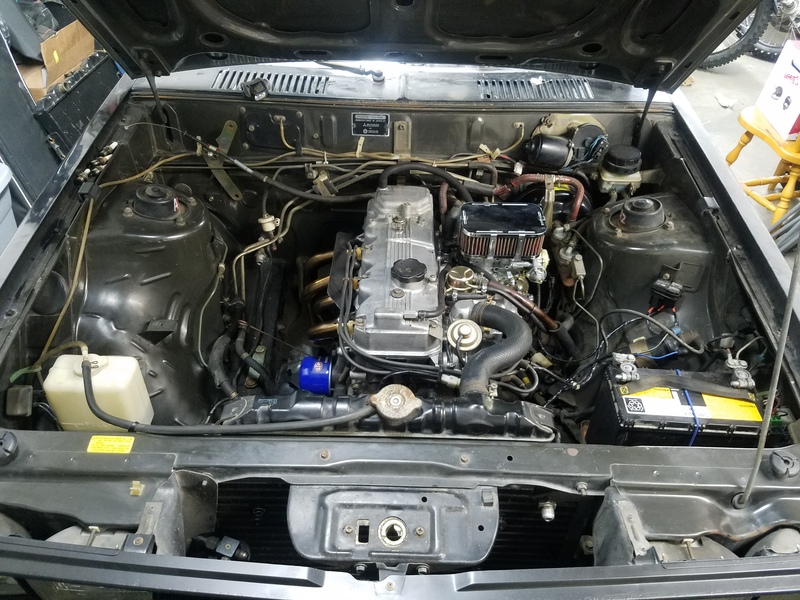 So on that note there is an early 86 model at the junkyard here that I had them take the grill and such off of but forgot if it was an intercooler car. I swear it had the old style turbo but our newer TBI tophat deal. Ok after uploading it as a giant pic I can see it does not have a limited slip. There isn't a vin code that designates them having limited slip is there? I don't know about vin code but I know that if it came from the factory with an LSD rear diff it would have a badge in the drivers side sill saying it does. 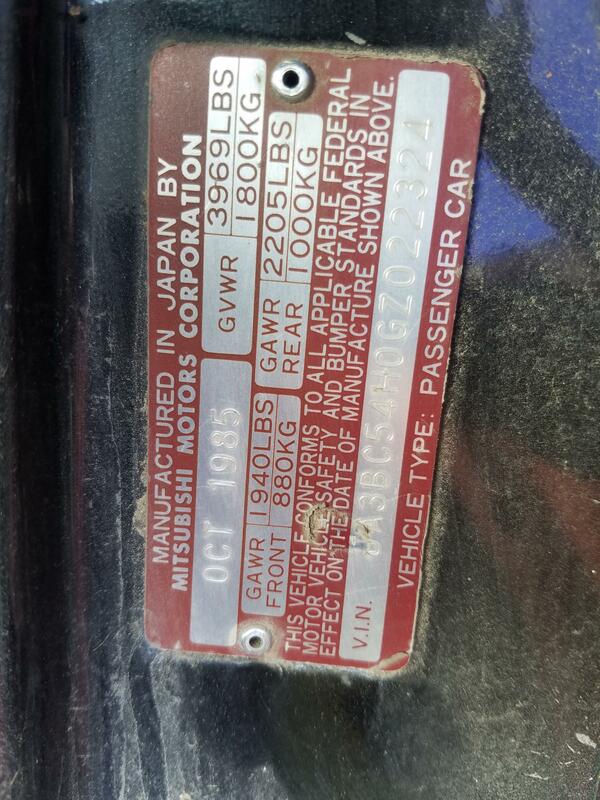 I don't believe its on the vin tag either. 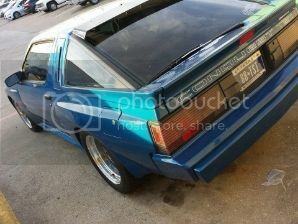 Another thing that tells me the car in the picture isn't an 85.5 is that its 4 lug. Any car that came with an LSD would have been 5 lug. Edited by speedyquest, 16 November 2018 - 12:55 PM. That's a non-intercooled flatty. I believe only the 85.5 flatty came intercooled. Idk if anyone knows haha. The junkyard car is one of the weird ones for sure. 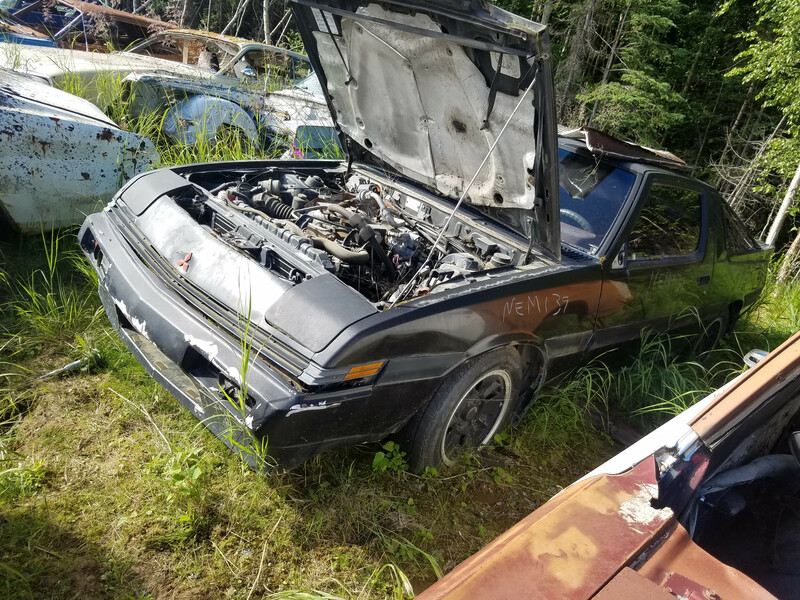 Built late OCT 85, VIN code 10th digit designates it as 86 model, narrow body but has 4 bolt wheels, newer top hat on TBI BUT the old style turbo and no intercooler. My brain is blown away. They made 4 lug flattys up until 87, though they are very rare. My 1987 car was a 4 lug car. I wasn't aware that they were rare though. Yeah 87 was the final model year they offered flatty's in North America. By then the wide bodies were all the craze. 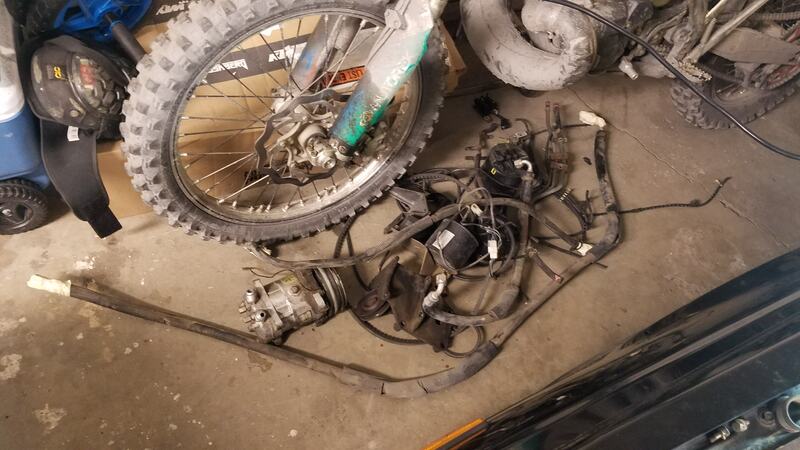 My 84ES flatty has a factory lsd, and I believe from what I remember It's the smaller differential. Might be a good place to look. 85.5 flattys have the same lsd as 86/87 widebodys. 88/89 has the six bolt axles and a bigger lsd. This is what I recall from memory, but I think it's correct. Edited by Dred_85.5_TSI, 25 January 2019 - 01:02 PM. Looking good man keep up the good work! Flatty, been searching info on the Sigma-galant forum and it's looking like before 85.5 for sure is what I'd needing but I've read on here a lot of flatties didn't have a LSD. I kind of put aside looking for the time and continued in on the rest of the car. Here is a link to a thread I'll be mainly posting anything about this car on but I'll try to keep this up as it is really close to a Starion still. here's just some of the junk I was able to strip from the engine bay. From the old pics to the latest you can see it's a lot less scattered. Cruise control hoses and vacuum pod, altitude compensating device, thermo switching valves, canister and air conditioner are all garbage now. I hooked up an electric fan by using a key-on power source to an emissions switching valve and even salvaged the EXACT connector to match the fan lead. In there you'll see a group 51 battery. I would've went with a bigger one but I was at a local place that sells reconditioned batteries and picked up a Yuasa 51. Been dealing with them for years in bikes and no idea they made car batts. +10 on the JDM score.